Nearly 35 years ago, one man went over major hurdles to prove that he belongs in the community after buying a house. 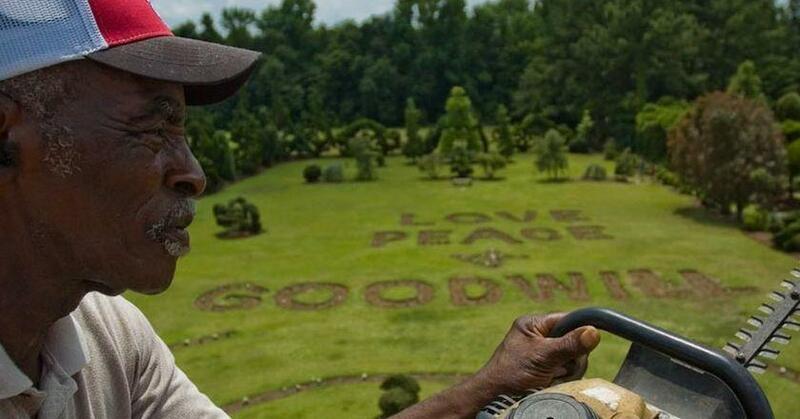 His determination created the Pearl Fryar Topiary Garden, an extraordinary place that has been made out of recycled plants and is grown without the use of extra chemicals. It has become a sensational and inspirational attraction for visitors. The garden is named after the man who made it all himself, Pearl Fryar. Its remarkable story begins when Fryar purchased his house in Bishopville, South Carolina. He was met with pushback from his neighborhood and initially he wasn’t going to be able to purchase the property. There was a running stereotype that African-Americans don’t keep up their yard. Instead of moving on, Fryar met the challenge head on and put in effort to win a “Yard of the Month” award. In order to meet his goals, Fryar was able to save throwaway plants at a local nursery. This would range from shrubs and little plants all the way to trees that were as high as 30 feet. Not only was he able to score the award, but over 300 plants later, he’s created a large and magnificent garden in his very own backyard. Fryar clearly had a goal to keep his garden as environmentally friendly as possible. Not only was he able to save an incredible amount of plants and trees, but his entire garden is grown organically. No chemicals, fertilizers, or water is used to keep up. He spends his days trimming branches and making everything look beautiful. After 25 years, the garden became incorporated and joined alliances with the Garden Conservancy. Its popularity grew to the point where it’s become a tourist attraction, and it’s open to the public for six hours every Tuesday through Saturday. Even when the snow hits the ground, it can create a gorgeous scene for those interested in looking at Fryar’s work. The official website goes into more detail of how popular the scene has become. "With Pearl’s patience and skilled hands, these “throw aways” have thrived and have been transformed into wonderful abstract shapes. Pearl Fryar and his garden are now internationally recognized and have been the subject of numerous newspaper and magazine articles, television shows, and even a documentary, A Man Named Pearl. 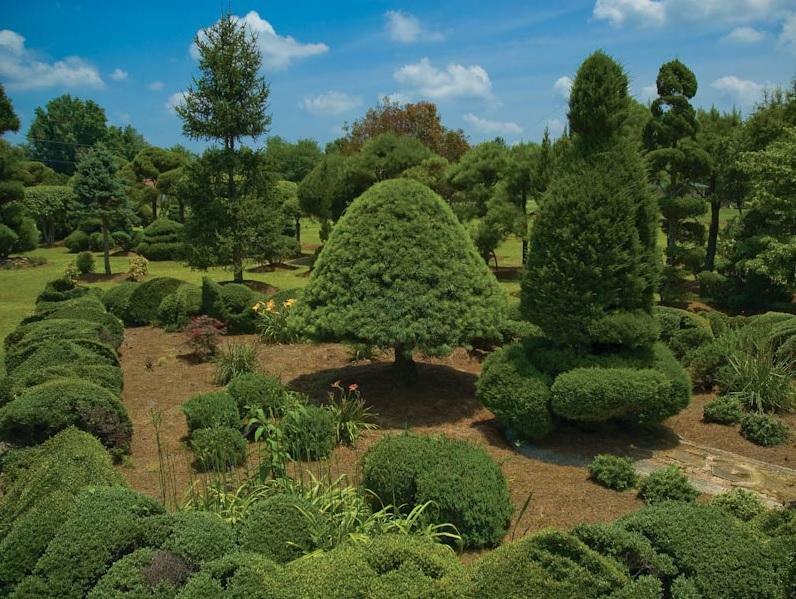 Today, the Pearl Fryar Topiary Garden draws visitors from around the globe." Over 40 different trees and plants have been in Fryar’s garden. Some of these include the Flowering Dogwood, Wintergreen Barberry, and numerous iterations of Holly and Juniper trees. If any plant begins to die, Fryar will remove it and will sometimes turn it into a “bottle tree.” While he used to plant boxwood, but doesn’t anymore due to pests that would come into the garden. Some plants have been changed for this reason, and some have been removed due to the inability to grow them properly in his area. 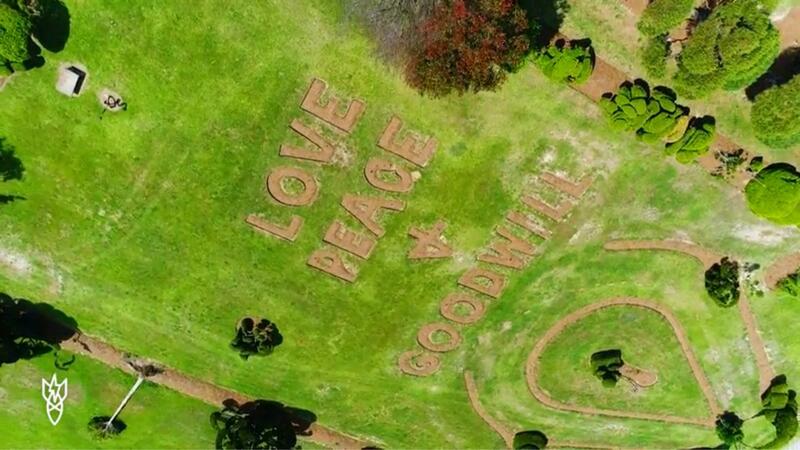 Perhaps one of the greatest additions to the garden was Fryar creating the following message engraved inside of it: “Love, peace, and goodwill.” That thoroughly fits his personality and explains why he was able to accomplish a feat like this.